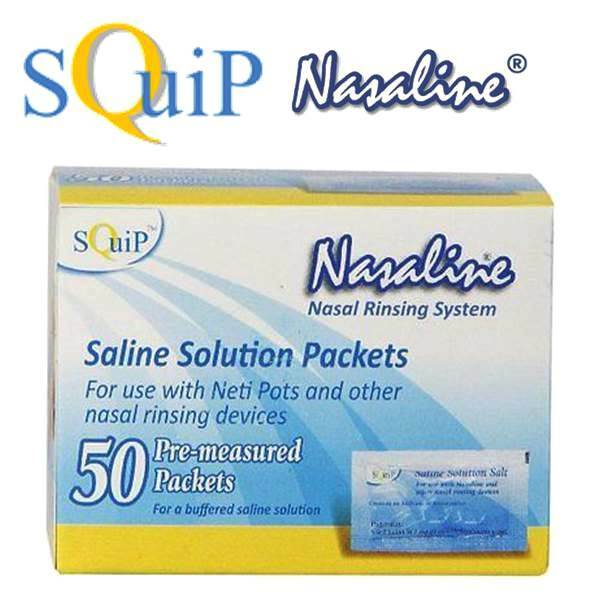 Nasaline saline solution is a mix of highly purified sodium chloride and sodium bicarbonate. It is free of additives and preservatives and is completely safe to use when rinsing the nasal and sinus cavities. Highly Purified Sodium Chloride and Sodium Bicarbonate specifically made for use in mixing saline solution. 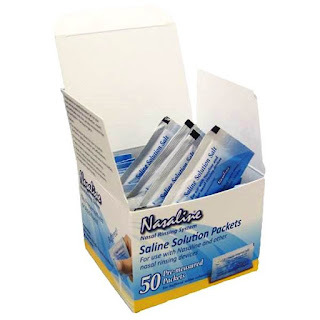 Nasaline saline solution is a mix of highly purified sodium chloride and sodium bicarbonate. 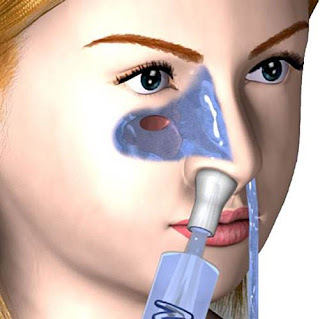 It is free of additives and preservatives and is completely safe to use when rinsing the nasal and sinus cavities. 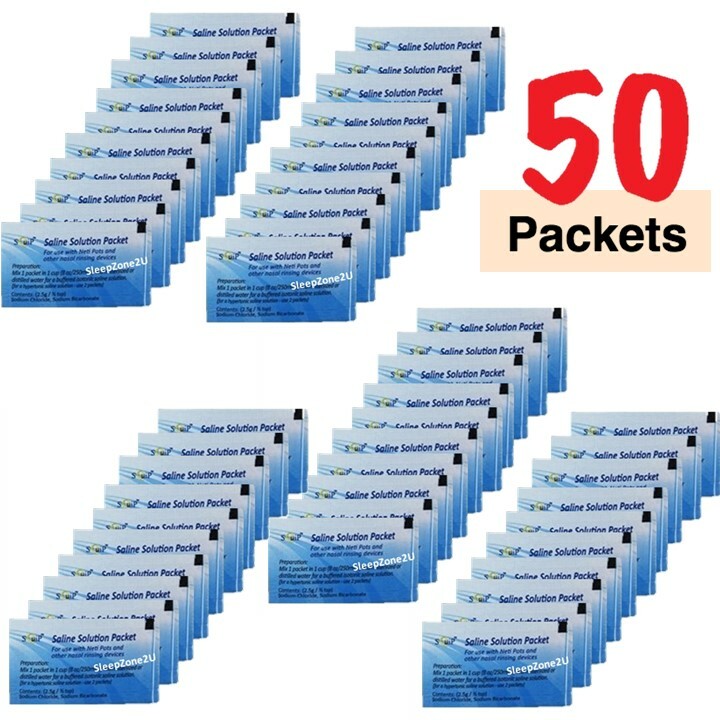 We recommend using Nasaline Salt to prevent possible allergic reactions that one might develop from the iodine in store bought iodized salt or from the algae sometimes found in sea salts. 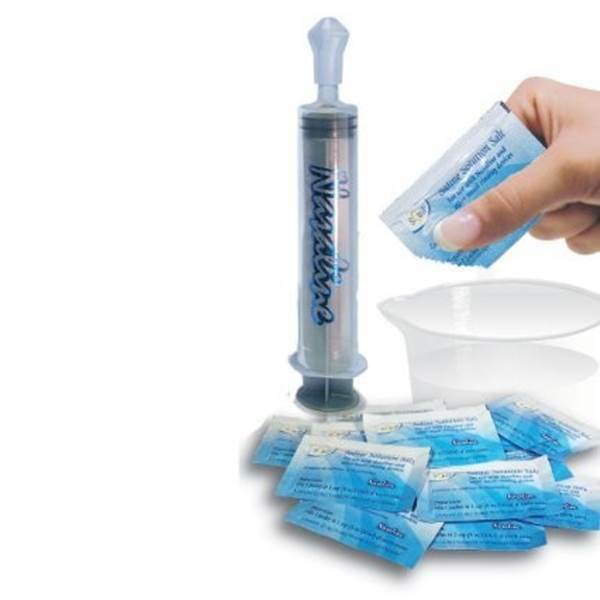 Make nasal rinsing treatments easier and more portable with handy pre-measured saline solution packets. 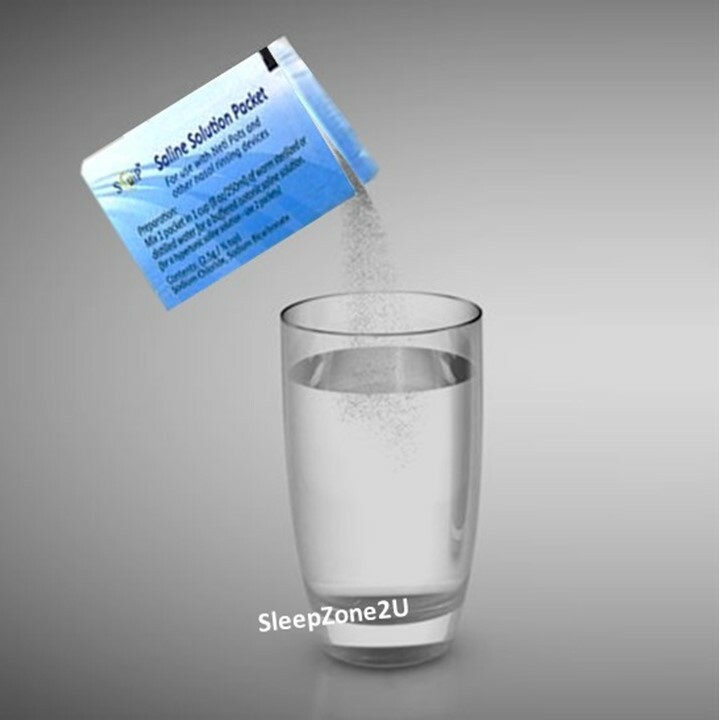 Each packet contains one-half teaspoon of buffered Nasaline Salt, when mixed with 8 ounces of warm water makes an isotonic saline solution.